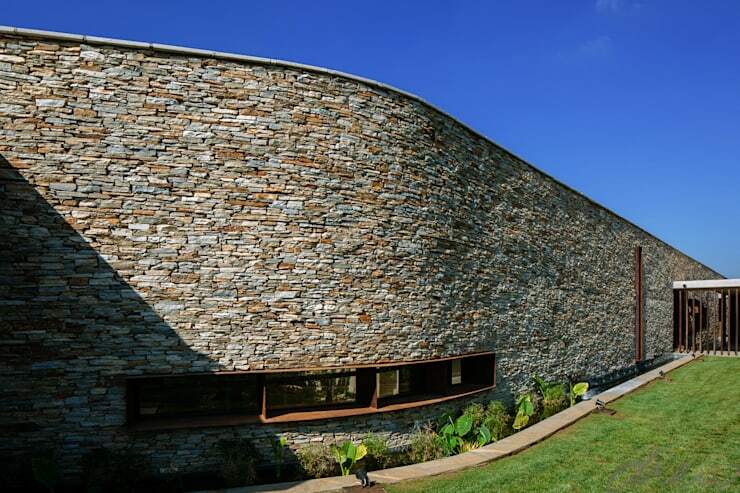 This beautiful house is famous for its spine shaped external facade which gives it a dynamic effect. 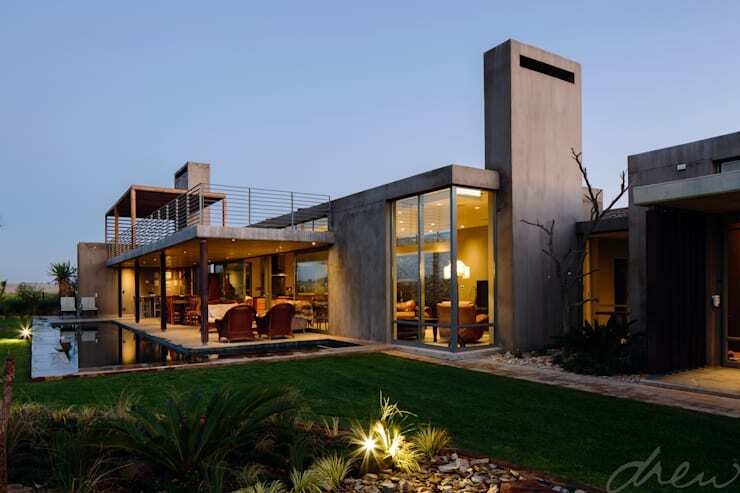 The house is based on a rustic design concept that is perfect for its geographical location which is outside the city. It serves as the ideal spot to rejuvenate from the hectic lifestyle of a metropolitan. 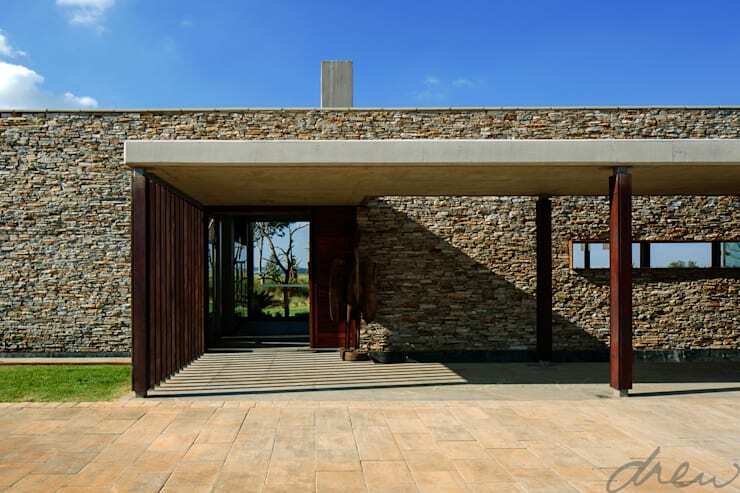 Apart from this, it also showcases the use of natural materials like wood and stone throughout the exterior structure. 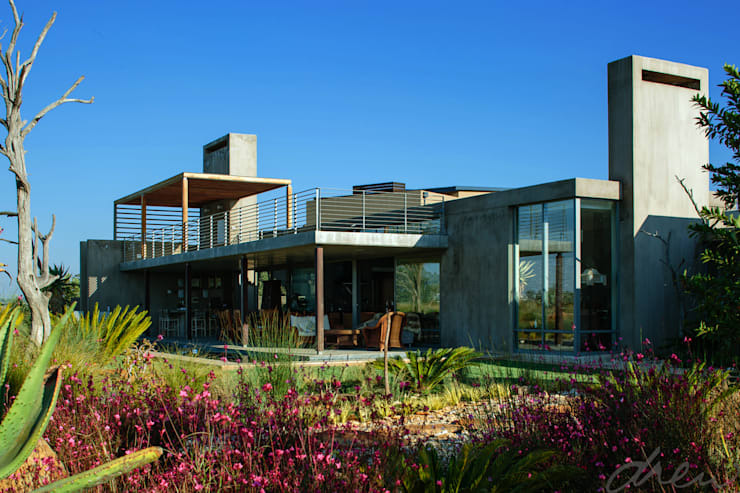 In this ideabook, we will take you on an outdoor tour of this beautiful house to highlight its different sections. We start with the backyard of the house. Here you can see all the openings to different rooms of the building. Due to this every place has a beautiful view of the backyard landscape. The use of warm tone light fixtures also gives the area a cozy look. This picture showcases the spine shaped wall of the exterior facade, which helped the house get its name. 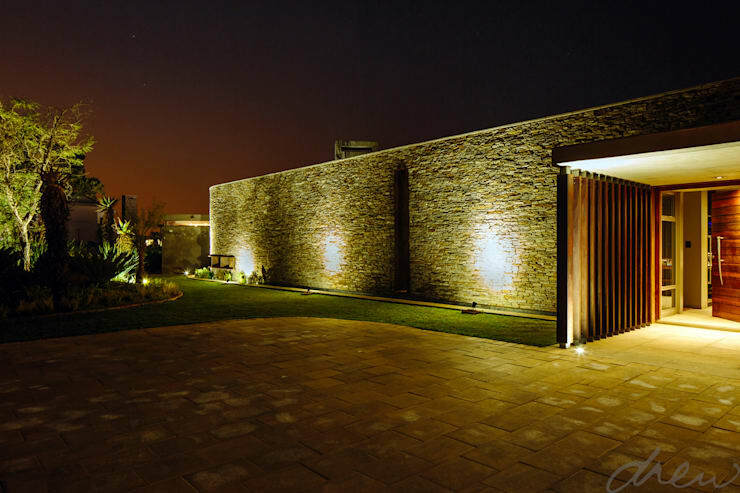 It is made entirely of stone so that the natural theme of the design could be maintained. Also, the availability of the material played a significant role. The main entrance of the house features a large shaded patio along with a full-size entrance door. The covered structure can also be used as additional parking. Besides, it gives you a place to sit during summer months. This view of the backyard facade showcases both the levels of the house. Materials like glass, metal, and wood are used to decorate the space. The big glass windows allow the house to be filled with natural light. 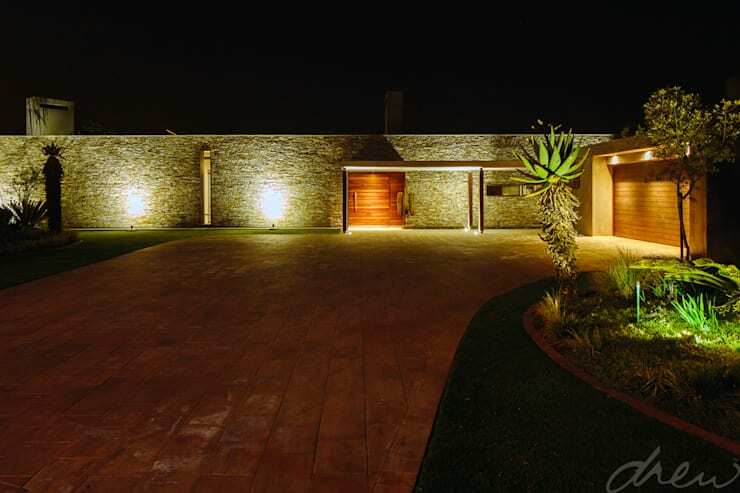 Leading to the main entrance is a long driveway which is lined with stone tiles. It too adds to the rustic theme of the design. Also, stone tiles are way more durable than any other material. Here you can see the entire backyard garden which also displays some beautiful curves like the frontal facade. 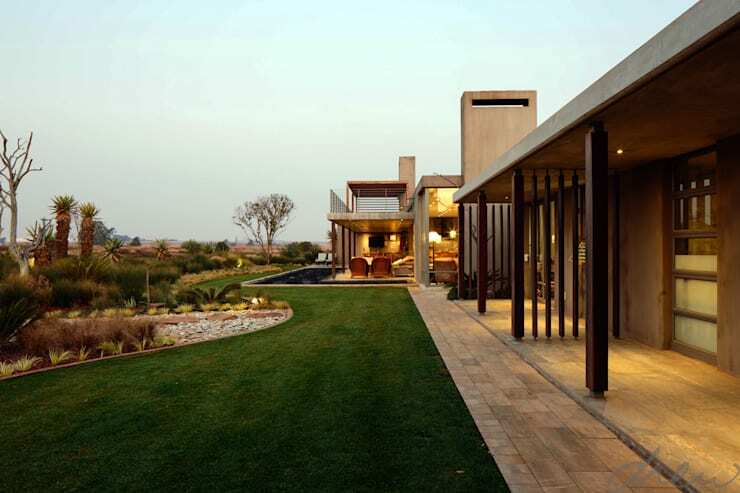 To create a low maintenance garden, the designer has used locally grown plants and grass. The night view of the frontal facade is as beautiful as the day. The garden area seen in this picture also serves as additional outdoor seating space. It also compliments the rusticness of the spine wall. 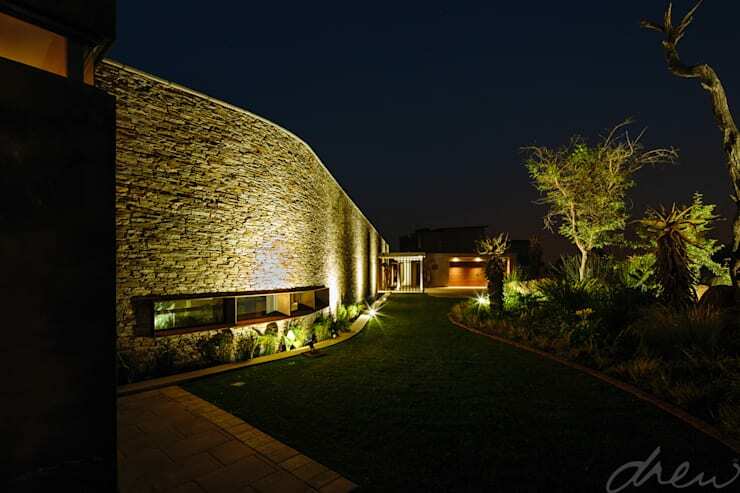 The designer has also incorporated highlighters which accentuate the beautiful stone wall of the entrance facade. Apart from this it also makes the structure look grand. 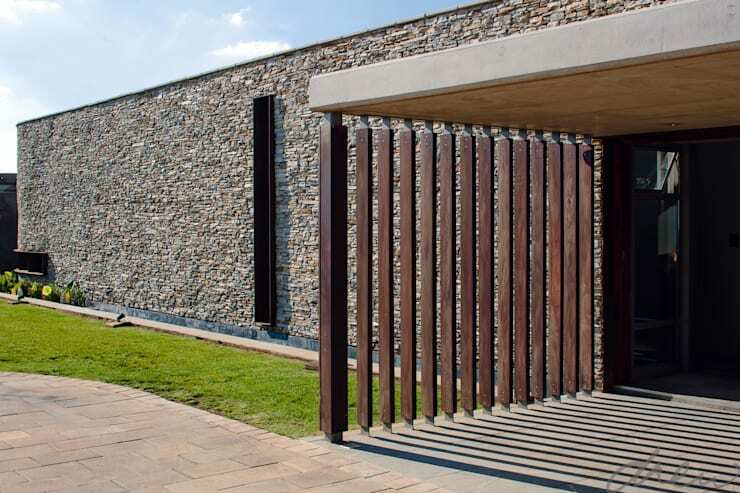 A beautiful wood partition has been customized to mark the main entrance from the rest of the facade. It is made of individual panels of wood which are then secured to the floor and ceiling with the help of metal screws. 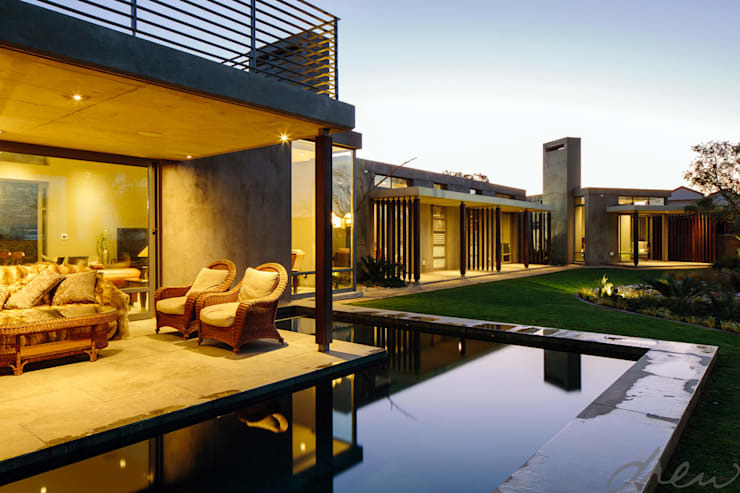 To add to the luxury of the house a small backyard swimming pool has also been incorporated. It is an L-shaped structure which is placed right next to the outdoor seating area.